On the cover: What you really need to know about autism: from autistics, parent, and professionals. 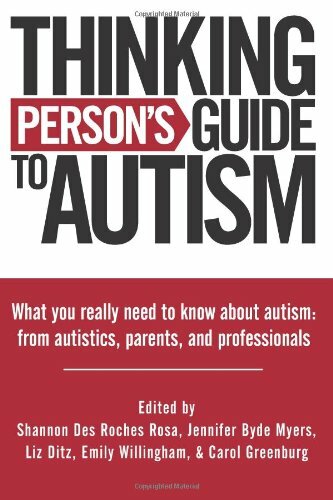 Essays address autism issues like parental/caregiver stress, planning for your child's future, meltdowns, potential guilt over not refusing vaccines, how to set up a Special Education PTA, the role of the education system, friends, therapists, and medications. Many of the topics were blog posts from various internet sites.